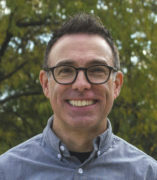 Paul-Brian McInerney is Associate Professor in Sociology at UIC. Broadly, his research focuses on economic and organizational sociology, social studies of technology, social movements and collective behavior, and sociological theory. McInerney is the author of From Social Movement to Moral Market: How the Circuit Riders Sparked an IT Revolution and Created a Technology Market (Stanford University Press, 2014). He is also the author of numerous articles and book chapters on various topics including the open source software movement, technology use among activists, collaboration between nonprofit and for-profit organizations, and the hybrid organizational forms of social enterprise. In each of these settings, McInerney explores how groups of people try to overcome the contention that arises from diverse ways of understanding problems and accomplishing goals. Most recently, McInerney is studying the network dynamics of innovation in the craft brewing industry. McInerney received his PhD and MPhil in Sociology from Columbia University in 2006. He holds an MA and BA in Sociology from St. John’s University.